An estimated two million acute ankle sprains occur each year in the United States alone, resulting in an annual aggregate health care cost of $2 billion. An ankle sprain is the most common injury in athletic populations and accounts for up to 30% of sports injuries (Waterman et al., 2010). 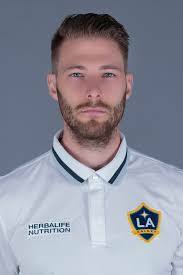 In 2016, 12% of all injuries were related to the ankle/foot for the athletes of the LA Galaxy first team. Of those foot and ankle injuries, the most common to cause an athlete to miss time were contusions (50%), followed by sprains (12.5%), 5th metatarsal fractures (12.5%), impingements (12.5%), and loose bodies (12.5%). Overall, foot/ankle injuries cost the LA Galaxy $113,289 due to missed time in 2016. In the general population, nearly half of all ankle sprains (49.3%) occur during athletic activity. The sport most commonly associated with ankle sprain is basketball, accounting for 20.3% of all sprains, followed by football (9.3%), and soccer (7.9%) (Waterman et al., 2010). Research has found that the peak incidence rate of ankle sprains occurs in individuals between 10 and 19 years of age, and that this age group experiences a six to nine-fold greater risk of ankle sprain than those in the 55 to 59-year-old age group (Waterman et al., 2010). Recent research has shown that inversion ankle sprains are the most common injuries in soccer (Mohammadi, 2007). This type of ankle injury primarily occurs during plantar flexion and inversion of the foot. If this type of injury is not dealt with appropriately during and after the rehab process, these athletes are put at a higher risk of reinjuring the same ankle. Once the initial stages of inflammation subside and the athlete can ambulate without pain, proprioceptive training becomes a critical part of the rehab process- and even more important in preventing potential ankle injuries in the future. The evertor muscles have been suggested to play an important role in preventing ligamentous injuries, as research has found that evertor muscle weakness is a component of recurrent ankle sprain. Evertor muscle weakness in athletes who have had previous injury could be the result of an interruption of the muscle’s nerve supply or the result of selective inhibition of the invertor’s ability to start moving in the direction of the initial injury (Mohammadi, 2007). It has been postulated that eccentric contraction of these muscles provide dynamic support to the lateral ligaments of the ankle and potentially resists ankle sprains. With that in mind, strength training of the evertor muscles (both concentrically and eccentrically) needs to be a part of both rehabbing and preventing ankle sprains. Without any intervention, the increased re-injury risk gradually declines over a 1-2 year period until the “baseline” risk level is achieved again (Verhagen & Bay, 2010). Taping or using some sort of orthotic device has also been used to help prevent ankle sprains. Recent research has found that orthoses reduced the incidence of ankle sprains in previously sprained athletes (Mohammadi, 2007). Ankle taping/orthoses protect the ankle by attempting to prevent inversion movements and keeping the ankle in the proper anatomical position during impact. Additional research has found that taping of the ankle is the most commonly used preventative measure and that a two- to fourfold lower ankle sprain rate was found for those athletes who taped their ankles when compared with those with no preventative measures (Verhagen & Bay, 2010). Ankle sprain injuries can result in considerable time lost to injury and long term disability in up to 60% of patients (Waterman et al., 2010). The tendency for ankle sprains to recur (aka functional instability) is attributable to a proprioceptive deficit caused by partial deafferentation of articular mechanoreceptors in the joint capsule and ligaments surrounding the ankle. In fact, athletes with a history of recurrent ankle sprains have a decreased sense of ankle position, which can potentially result in a slow onset of activation of muscles across the ankle joint (especially evertors), and thus a failure to correct any excessive ankle positions (Mohammadi, 2007). It has been suggested that inappropriate positioning of the ankle joint before ground contact during walking may have important implications for ankle joint stability. Recent research has found that during the stance phase of gait, subjects with chronic ankle instability exhibited altered kinetics, which can be suggestive a lateral shift of body weight. Subjects with ankle instability have also been found to have a more inverted position of the ankle joint before and immediately after heel strike compared with a control group (Delahunt et al., 2006). Subjects with functional instability have been shown to exhibit a more inverted position of the rear foot during the initial contact and loading phases and have a dorsiflexion deficit when compared to control subjects. Other research has suggested that an increased plantar flexion touch down upon landing from a jump could precipitate the onset of an ankle joint sprain (O’ Driscoll et al., 2011). The purpose of proprioceptive rehabilitation is to retrain altered afferent pathways to enhance the sensation of joint movement, which comes into action at three distinct levels of motor activation within the central nervous system. Reflexes at the spinal level mediate movement patterns that are received from higher levels of the nervous system, which provides reflex for joint stabilization during conditions of excessive stress. The brainstem receives information from the joint mechanoreceptors, vestibular system, and visual input from the eyes to maintain posture and balance of the body. The highest level of the CNS obtains cognitive awareness of body position and movement in which motor commands are initiated for voluntary movements. These movements that are repeated are stored as central commands to be performed without continuous reference to consciousness. To stimulate reflex joint stabilization, activities must focus on sudden changes in joint positioning that necessitate reflex neuromuscular control (Ergen & Ulker, 2008). A review of research involving balance board/disc training, strength training and proprioceptive training shows that proprioceptive training is the most effective part of these programs. The neuromuscular training targets the underlying impairment by re-establishing and strengthening the ligament(s), muscles, and protective reflexes of the ankle (Verhagen & Bay, 2010). Following an ankle injury, it is incredibly important to focus on the dynamic stability of the ankle joint to ensure the athlete can react quickly to sudden inversion ankle motions, thus preventing sprains of the lateral ligament complex of the ankle. Previous research has shown that balance exercises or multi directional intervention training programs can be effective in reducing the incidence of ankle injuries in athletes involved in pivoting sports. In fact, it has been shown that balance training was effective in reducing the risk of ankle sprain injuries by 36% and that balance exercises were more effective in athletes with a history of ankle injuries than in those without (Hubscher et al., 2010). Ankle rehab should follow a progression along these lines: joint position sense dynamic joint stabilization reactive neuromuscular control functionally specific activities. Located below are examples of ankle rehab exercises within each distinct progression along the continuum. Delahunt, E., Monaghan, K., & Caulfield, B. (2006). Altered neuromuscular control and ankle joint kinematics during walking in subjects with functional instability of the ankle joint. The American Journal of Sports Medicine, 34(12), 1970-1976. BSCHER, M. H., Zech, A., Pfeifer, K., NSEL, F. H., Vogt, L., & Banzer, W. (2010). Neuromuscular training for sports injury prevention: a systematic review. Mohammadi, F. (2007). Comparison of 3 preventative methods to reduce the recurrence of ankle inversion sprains in male soccer players. The American Journal of Sports Medicine, 35(6), 922-926 . O'Driscoll, J., Kerin, F., & Delahunt, E. (2011). Effect of a 6-week dynamic neuromuscular training programme on ankle joint function: a case report. Sports Medicine, Arthroscopy, Rehabilitation, Therapy & Technology, 3(1), 13. Verhagen, E.A.L.M & Bay, K. (2010). Optimising ankle sprain prevention: A critical review and practical appraisal of the literature. British Journal of Sports Medicine, 44, 1082-1088. Waterman, B. R., Owens, B. D., Davey, S., Zacchilli, M. A., & Belmont, P. J. (2010). The epidemiology of ankle sprains in the United States. J Bone Joint Surg Am, 92(13), 2279-2284.